An attitude of gratitude has made a huge change in my life. Unfortunately I have a little bit of trouble remembering to be grateful each day. A little reminder will go a long way for me. How about you? Let's make each day of 2014 fantastic! 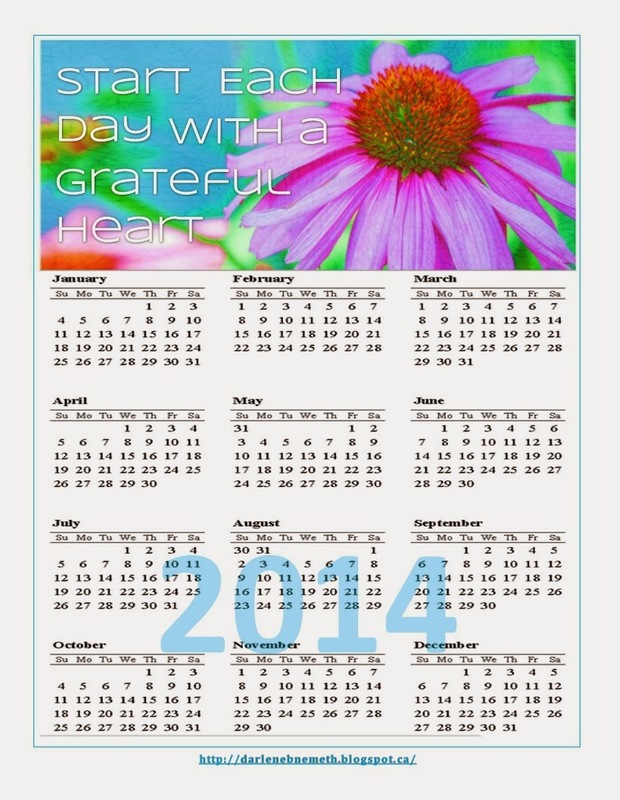 Feel free to copy and print this 2014 calendar at a glance. I look forward to reading your comments. Make our day and leave one!